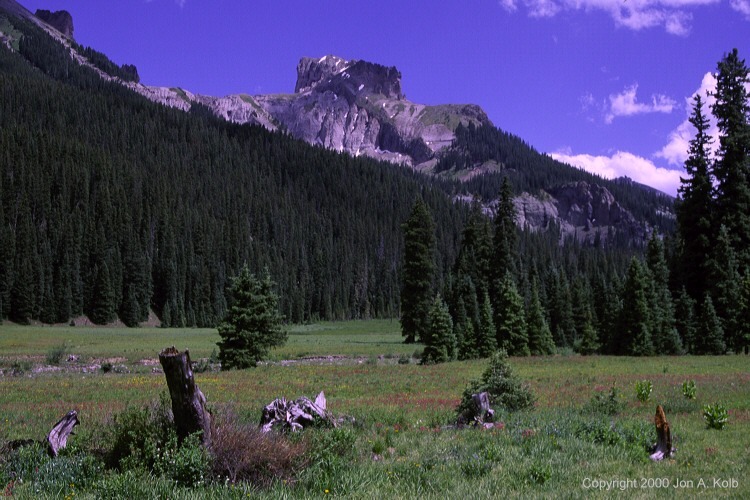 Less than a mile south of our campsite along the West Fork of the Cimarron River, a huge meadow opens up below Dunsinane Mountain and this mountain called Precipice Peak. It's July, and the wild flowers are in full bloom. The San Juan mountains are usually wetter than the other ranges in Colorado, but we were blessed with one spectacularly clear night out of three.